Houston Residential Mini Split | G & W Services Co.
G & W Services offers Houston residential air conditioning repair and installation by a highly skilled team of professional technicians. Since 1958, thousands of homeowners and businesses have relied on G & W Services to solve the indoor comfort problems that they may suffer. Our Houston residential air conditioning repair and installation expertise coupled with the best products in the industry allows us to offer our customers one source for stress free comfort solutions. All homeowners appreciate saving money on energy bills, controlling your homes climate during Houston’s long summers can be a challenge. Our state-of-the-art residential mini-split air conditioning systems make it possible to get you the air efficiency you need while bringing you energy savings that pay for the entire installation in a short amount of time. 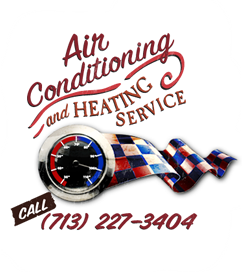 We provide homeowners with installation, repair or retrofits of mini-split air conditioning systems. Whether you have a sun room that needs some extra help staying comfortable during the summer, or maybe you have an older home and a/c system that isn’t cooling efficiently in specific areas, G & W Services can help divide your current system into zones, giving you the ability to control the temperature in each zone independently. What is a Residential Mini Split Air Conditioner System? A Mini Split Air Conditioner system has three main components: an indoor air handling unit, an outdoor condensing unit and a remote controller. All of these units are connected by refrigerant lines running through the wall or ceiling. The outdoor unit cycles the refrigerant through the lines to and from the indoor unit, where the air is conditioned and distributed into the space. What does Mini Split Air Conditioner Installation Look Like? Residential mini split air conditioner installation can be as simple as mounting the indoor and outdoor units, connecting the refrigerant lines, and making a few electrical connections. By hiring G & W Services for your mini split air conditioner installation or repair, you can trust that the job will be done right, making you able to enjoy the comfortable climate faster and saving you money on your energy bills.